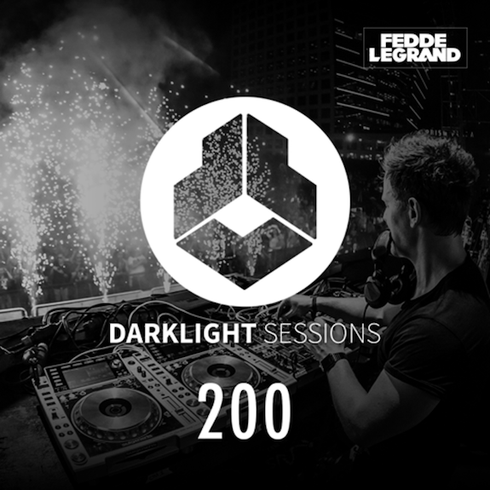 Dutch DJ, Fedde Le Grand, recently marked another milestone in his career by releasing the 200th episode of his ‘Darklight Sessions’ podcast. Starting the shows over three years ago, Fedde aims to showcase the best in new house music from across the spectrum. Not limiting himself to any one sound, and giving airtime to upcoming talents from around the world, he has possibly provided a valuable stepping-stone for some of dance music’s rising producers giving recent support to the likes of Raiden, Zilverstep and Merk & Kremont. With this 200th episode, you can expect new material both from his Darklight label, as well as from other popular imprints. With tracks from Kill The Noise, Major Lazer and Bojac, as well as remixes of Missy Elliot, Bob Sinclar and Fedde himself, the show aims to encapsulate the very best in what dance music has to offer today. Fedde has also returned to what the format initially began as, by crafting a mix that works that hopefully works both on the radi, as well as on the dancefloor. Rounding off his ‘Something Real’ world tour, which has seen performances at Ultra Miami, Ultra Korea, Pacha (Munich) and Marquee (New York), and with his upcoming Summer Tour starting today, encompassing shows at London’s Ministry Of Sound, Ultra Europe and Tomorrowland, Fedde looks set for another good year. I'm curious to find out what blog system you happen to be using? I'm experiencing some small security problems with my latest blog and I'd like to find something more safeguarded. Do you have any recommendations? I have read so many posts regarding the blogger lovers except this paragraph is truly a pleasant piece of writing, keep it up.